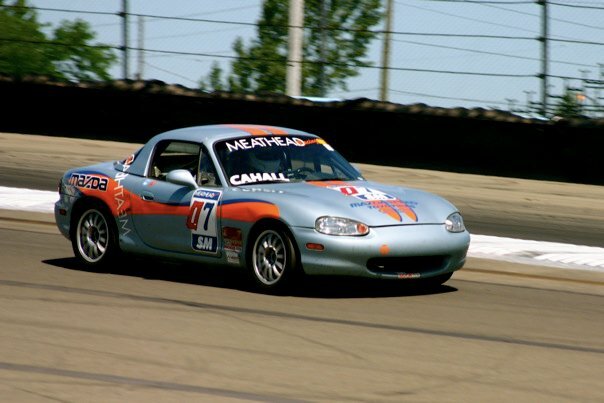 As part of the Meathead Racing Team, Ted Cahall participated in his third SCCA Club Racing National weekend on Friday July 9th through Sunday July 11th, 2010 at the Watkins Glen road course in Watkins Glen, NY. 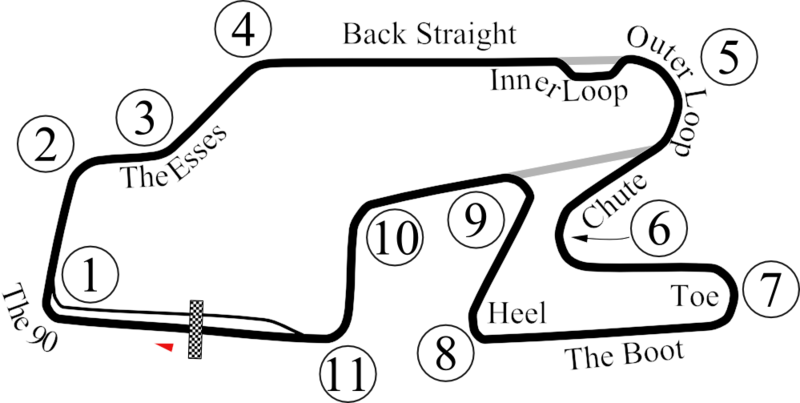 As with the VIR Double National in April and the Nelsons Ledges Double National last weekend, this was also a two race event with races on both Saturday and Sunday. For Ted, the main goal of these two races was to satisfy his "two national races in the Northeast Region" requirement to qualify him for the SCCA Club Racing National Championship Runoffs at Road America in Elkhart Lake, WI this September. Saturday was a bit more eventful! The day started with a second qualifying event for that day's race with racers taking their fastest lap from either that session or Friday's morning session to determine their final grid position in Saturday's race. Ted ran a 2:28.601. Saturday's race was marred with a couple of accidents (see video of first accident) that knocked three Meathead Racing drivers out of the competition and caused most of the race to be run under the double yellow flag. Ted ran a Watkins Glen personal best of 2:26.100 (see video), had three other laps in the 2:27's, and finished the race with his car intact! Since a few of Ted's fellow racers did not complete Saturday's race (and thus their National Runoff requirement), Ted made finishing Sunday's race a top priority. He skipped the morning qualifying session since he had qualified on Friday for Sunday's race. In the race, Ted ran well and turned a 2:26.823 fastest lap and completed the race. He had a blast and is now all set for the SCCA National Championship Runoffs!